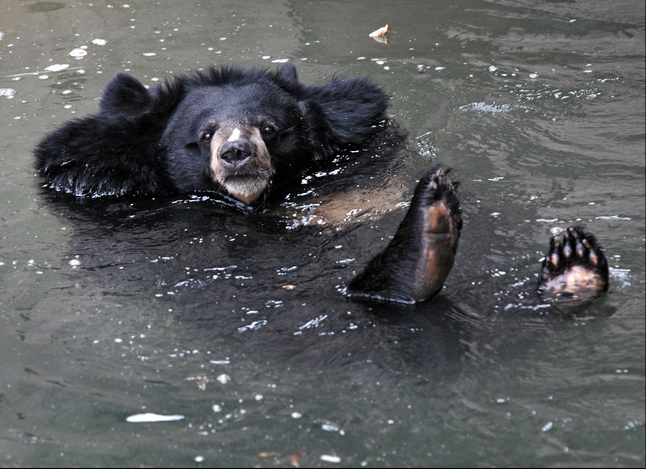 Hmm, you call it a Black bear but it might be an even more appropriately named Sloth bear. It took me awhile to figure out where I called it a “black bear.” Of course, it is “black” — or at least appears that way to me, which is pretty much the extent of my ability to sort animal species–but the notation on the photo was only meant to distinguish the photo in my files. I should have remembered that the titles are available for searching and the like and that this might misdirect folks. My bad. Thanks fo the correction. But whatever we call him (?) he sure seems to have the right idea!